Clinically significant perfectionism is defined as patterns of perfectionism which are over-represented in clinical samples and under-represented in non-clinical samples. The present study contrasted two hypotheses about what characterizes clinically significant perfectionism: the two-factor theory and perfectionism/acceptance theory. First, a person-oriented approach by means of cluster analysis was used to identify typical patterns of perfectionism. These clusters were then cross-tabulated with two clinical samples (patients with social phobia and patients with panic disorder) and a non-clinical sample. 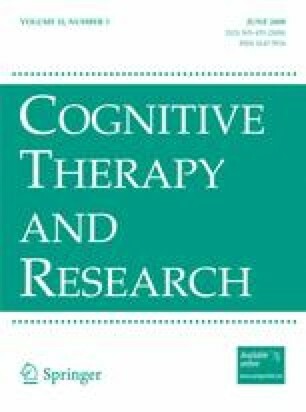 The results showed that patterns of clinically significant perfectionism combined high Concern over Mistakes (CM) and Doubts about Action (DA) with high Personal Standards (PS) (and to a lesser extent also high Organization)––which is consistent with perfectionism/acceptance theory, but at odds with the two-factor theory. The results illustrate the value of a person-oriented methodological approach as a complement to the traditional variable-oriented approach. We would like to thank Professor Lars R. Bergman for highly valuable comments on the cluster analytic parts of the study.